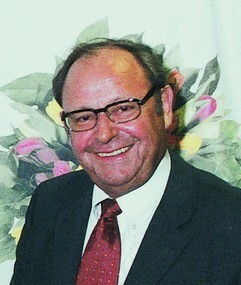 Konrad Hengstler is appointed Sales Representative for Häfele Australia. He initially works from home, and stocks a small amount of the most popular items in his garage. All other orders are shipped and delivered direct from Germany. 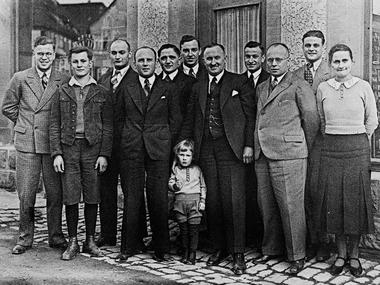 Acquisition of Schneider in Kenzingen. Häfele Australia Pty.Ltd. 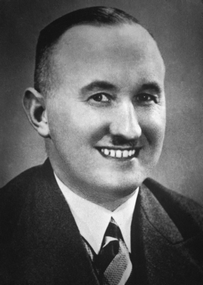 is founded with its headquarters in Mordialloc. Häfele celebrates the opening of the first South Australia office in Underdale, SA. 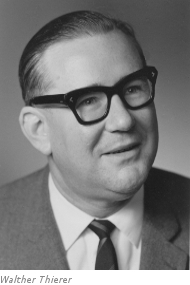 In the same year, Häfele opens its first New South Wales office in Lidcombe, NSW. The Nissan Civilian 'Travelling Showroom' is fitted with the latest hardware technology, heads to the most remote areas of Australia. 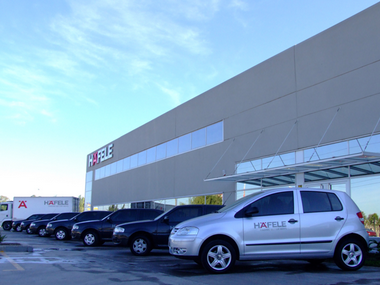 Häfele opens its first Western Australia office in Malaga, WA. Häfele's Queensland office is opened in Coopers Plains, QLD. Häfele Australia becomes a smoke-free workplace. Häfele Australia reaches 10years and celebrates with all staff in King Island. 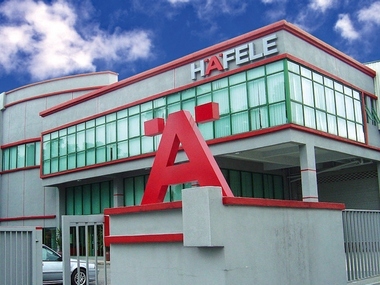 Häfele Australia's new headquarters in Dandenong is established. 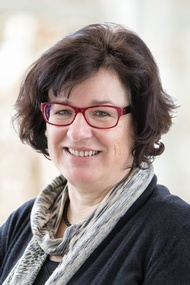 The inaugural Newsletter for Häfele and Häfele New Zealand staff named 'Connection' was published. 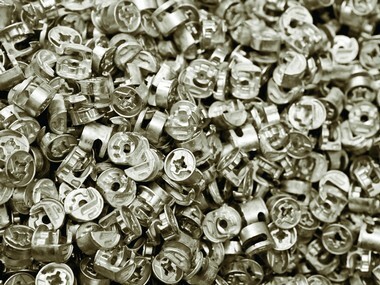 Häfele obtains ISO 9001 certification. Häfele New Zealand opens a Christchurch Office to service the South Island. 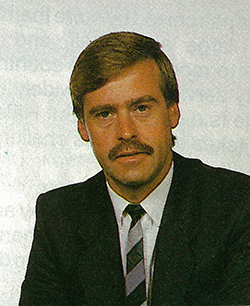 Konrad Hengstler hands over the reins to Peter Farrugia, who had been Managing Director of Häfele New Zealand for 10 years. The first 'The Complete Häfele' Furniture Fittings is published inhouse. 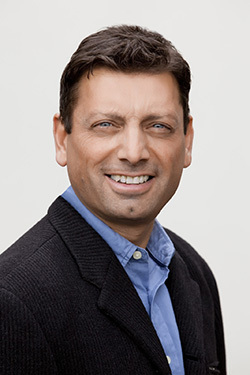 Häfele equips all Account Managers with laptops. Häfele New Zealand celebrates 10 years and completion of their new Head Office in Auckland. 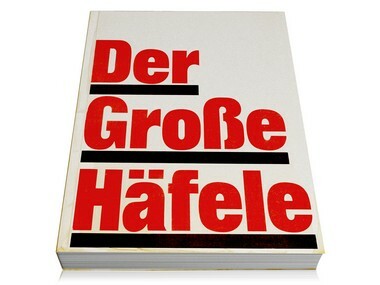 The Häfele+ Catalogue is, is published inhouse by Häfele Australia. The Sydney office is opened in Pyrmont, NSW. The new W.A. Distribution Centre is opened in Malaga, WA. Our first website is launched. The Adelaide Office and Design Centre is opened in Adelaide, SA. Häfele New Zealand celebrates the opening of the Design Centre in Wellington. 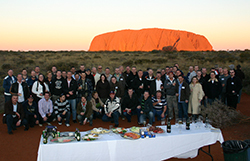 Häfele Australia celebrates its 20th year in operation and takes all staff to Queensland for the celebration. The official launch of the Häfele 'Twins' Catalogue. The biggest ever release in Häfele Australia opens its new Sydney Office/Distribution Centre in Wetherill Park, NSW. The Canberra Design Centre is opened in Kingston, ACT. 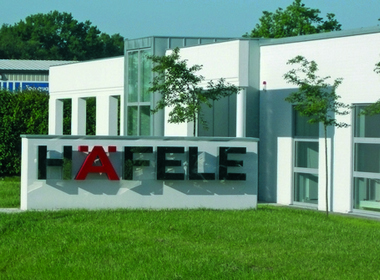 The Häfele logo changes and the slogan becomes "Finding Better Ways". The Melbourne Design Centre is opened. 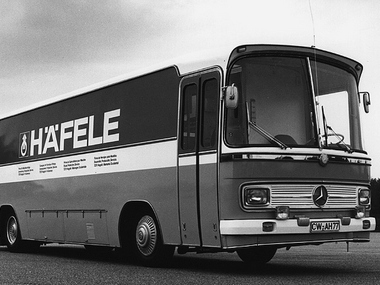 20 Years after the first mobile showroom 'KONG' is born in Häfele Australia. Fitted with the latest in Furniture and Architectural Hardware. 'KONG' travels all over Australia. The Tasmanian sales office is opened in Launceston. 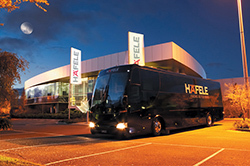 Häfele New Zealand opens its first Design Centre in Auckland. Häfele Australia celebrates the opening of 'Häfele Home' the first retail based showroom located in Newstead QLD. Häfele reaches 25 years and celebrates with all staff in the 'Red Centre' of Australia. The Newcastle Design Centre is opened in Newcastle, NSW. The Brisbane Design Centre is opened. The inaugural 'The Complete Häfele' Architectural Hardware Catalogue is published and released. The second Tasmanian office is opened in Hobart. The Canberra Design Centre is re-located to Fyshwick, ACT. 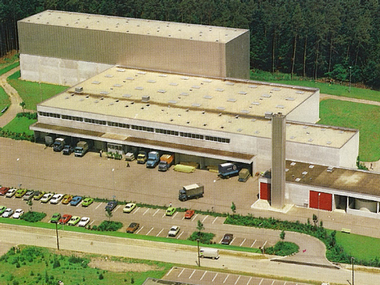 Häfele acquires Huwil in Budapest Hungry to add to its production capabilities. 'KONG is redesigned, re-fitted and ready to travel around Australia again. The opening of the Queensland Sales and Distribution Office is celebrated this year. Häfele Home is relocated to South Brisbane, QLD. The opening of the Perth Design Centre is celebrated. 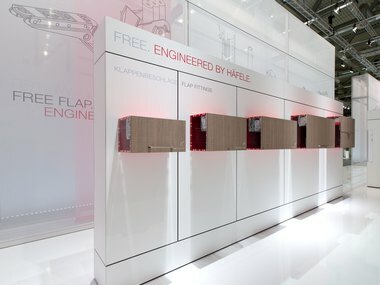 Häfele changes its claim to "Functionality for You"
Furniture has to suit the people who use it. 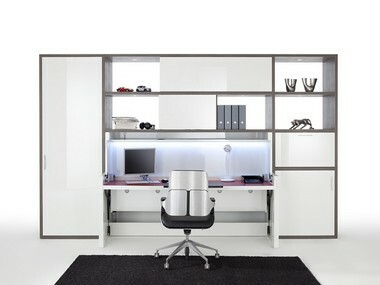 Its role should be to simplify daily life and add greater convenience, not only in the office but within our own homes. 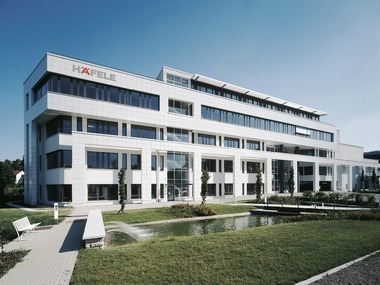 Among experts in the field, “Häfele Functionality” has become synonymous with greater convenience and pioneering ideas for living, working and leisure, and underpins the company’s hardware technology credentials in the fields of furniture construction, in intelligent application of the electronic locking and access control Dialock, in optimum office organization and in innovative storage space management. Häfele Australia establishes its retail division. 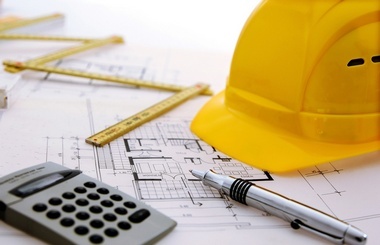 SAP Business software is implemented, to improve service and efficiency. Häfele Australia Launches iPad app. At AWISA 2012 Häfele Australia launches the Häfele catalogue app. The first of it's kind within the industry. Users can download all the catalogues they want, all stored in this simple to use, light to carry app. 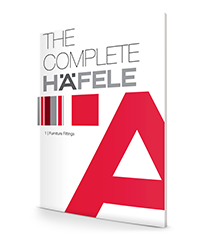 Häfele Australia celebrates 30 years in operation and releases the 30th Anniversary edition of 'The complete Häfele' Furniture Fittings Catalogue. 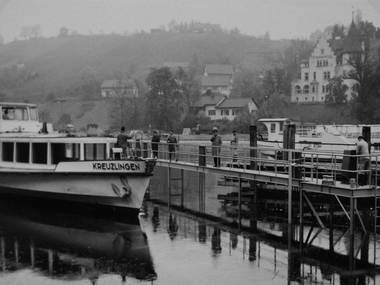 Häfele celebrates its 90th year in operation. 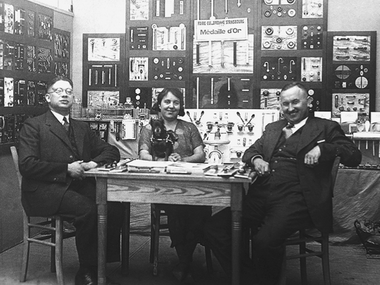 From its humble beginnings in 1923, to now global leader in the hardware industry. Häfele establishes and implements the new Global Brand Identity. 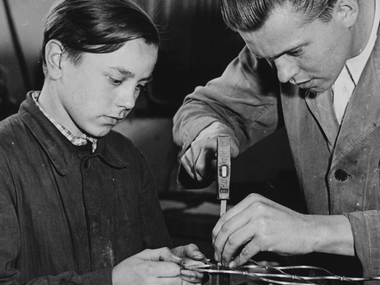 Our core values become: Passionately Customer Focused and Visionary Entrepreneurial Spirit. 'KONG' is redesigned, re-fitted and ready to travel around Australia again. Häfele Australia expands its logistical reach, with a mega Distribution Centre DC1 in Dandenong. 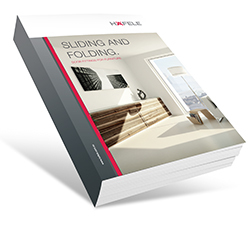 The new Sliding and Folding Doors For Furniture and Buildings Catalogue is released. 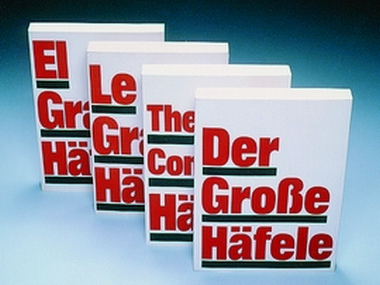 The first since the "The Complete Häfele Sliding and Folding" 2003. 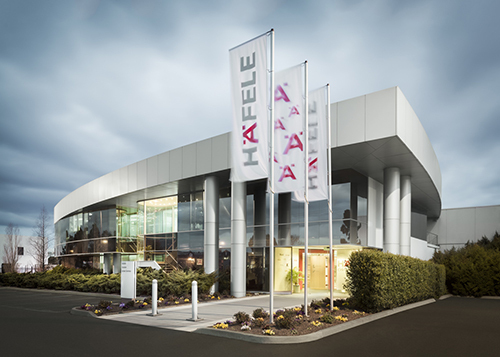 Häfele's flagship new Corporate Design Showroom is opened at Head Office Dandenong. All showrooms nationwide will be derived from this design. Häfele Australia expands its logistical reach, with a second mega Distribution Centre DC2 in Dandenong. 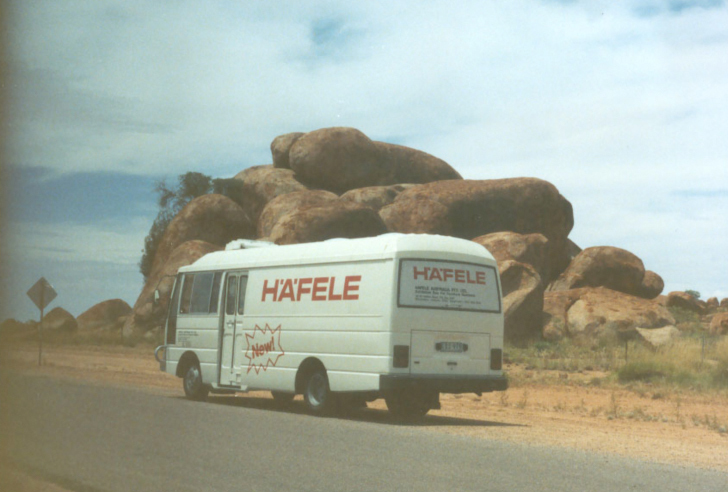 Häfele Australia launches their brand new vehicle branding. Tasmania relocates and opens their brand new showroom in Hobart. Häfele Australia launches their redeveloped website www.hafele.com.au. 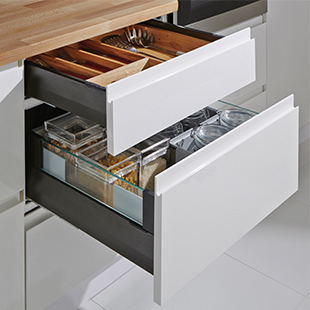 The Häfele engineered MX Drawer system is successfully launched at AWISA 2016. In 2017, Häfele Australia released The Complete Häfele - Architectural Hardware Catalogue. This new publication consists of more than 650 pages of new and existing articles, designed to provide customers with the best possible range of Architectural Hardware products for any project you may be working on. Functional and reliable Architectural hardware are essential for the efficient function of buildings of all types, from retail stores to office buildings, from hotels to residential developments, to hospitals and Aged care facilities. It’s for this reason that Häfele Australia has aligned with trusted Global brands: Geze (Door controls and Automatics), Lorient (Door seals), Hawa (Sliding Solutions) & Allegion (Door furniture), as well as our own assortment of Häfele branded products: Dialock (Electronic Access Control) & Slido (Sliding Door fittings). 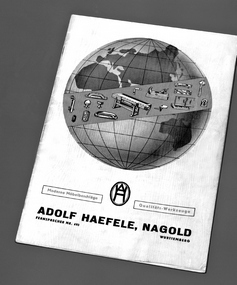 In 2018, Häfele Australia released The Complete Häfele - Furniture Fittings Catalogue. 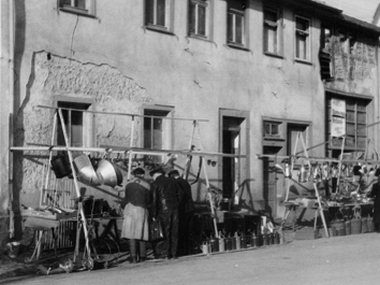 It is an extensive collection of Furniture Fittings from around the world gathered into the latest edition of The Complete Häfele - Furniture Fittings. In a follow-up to our earlier release of The Complete Häfele – Architectural Hardware, customers now have access to over 13,900 products available from Häfele Australia. 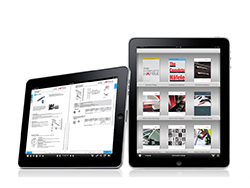 In addition to the printed copy of the catalogues the Häfele online experience has been expanded to keep up with the fast pace of your every need and requirement.